Daniel Ricciardo's helmet design has taken a significant step in 2019, it would seem. 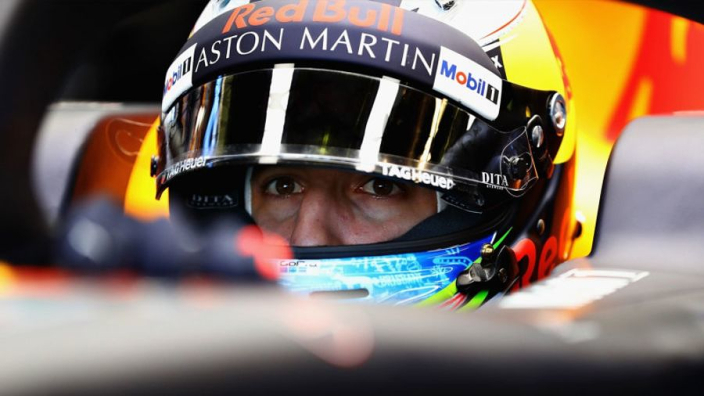 Having generally sported Red Bull colours through his F1 career to date, for obvious reasons, Ricciardo's departure for Renault has allowed the creative juices to flow. The Australian's lid for 2019 has been designed by designer Nicolai Sclater, better known as Ornamental Conifer. In a behind-the-scenes clip from pre-season testing, Ricciardo revealed a pink and green look for 2019 - skip to 08:30 for a peek at the lid, but the whole clip is well worth your time! Ricciardo sported a test design during pre-season in Barcelona, and shared a video of that being created on Instagram. Like his race helmet, it is designed by Ornamental Conifer.